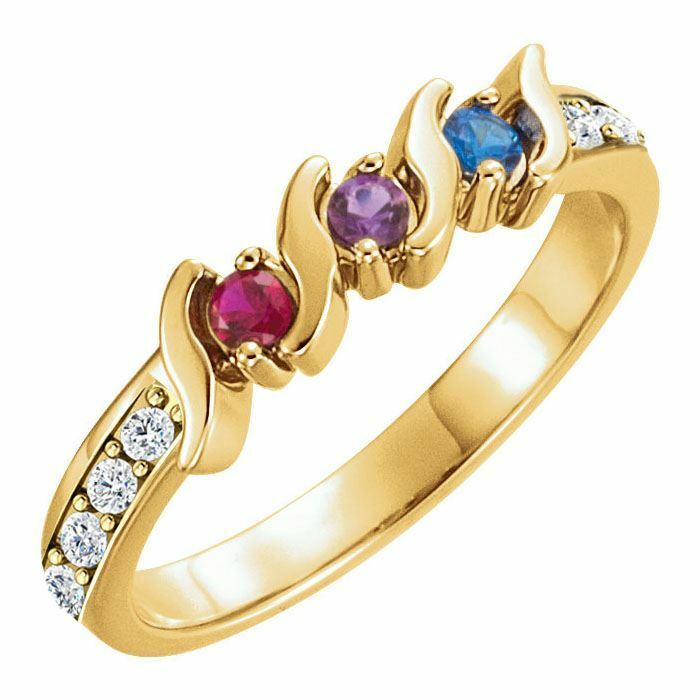 This ring is available in 10 or 14 karat yellow or white gold with genuine or simulated stones. Stones will be set from left to right. Custom order: generally requires 5-7 days for production.n.